Image by Trust "Tru" Katsande/Unsplash, Public Domain Dedication (CC0). A 17-year-old named Gwen remained in my head after I read a recent story centered around the challenges of teaching climate science — i.e. our human contribution to climate change — to students already skeptical of its existence in rural, post-coal, post-manufacturing America. Given that I am a scientist, you may expect that Gwen stood out to me because of her strength to break free from the expected stereotype and champion the scientific evidence for climate change. No. That was her friend Jacynda (and most of her classmates). Gwen, on the other hand, remained unconvinced, opting to fulfill her necessary science requirement with an online course to avoid completing the climate change curriculum. Yet, despite her climate denying ways, Gwen spoke truth to the underlying debate around climate change. “It’s not about opinions,” the teacher told Gwen. “It’s about evidence.” While this may accurately represent the conclusions and predictions made by climate scientists, it actually misses the conflict at the heart of the climate change debate. This is because one’s stance on climate change — among other polarizing issues — doesn’t reflect one’s knowledge of the issue, but rather one’s cultural affiliations: It reflects who, in society, one is. Our growing understanding of the influence of group identity on defining worldviews and guiding decision-making would lead us to predict that Gwen and her classmates, who grew up in rural Ohio in a town of Trump supporters and out-of-work coal miners, deny the existence of climate change. Along with this understanding has grown a paradox. While we are now more comfortable than ever using group identity to rationalize the behaviors of others, we rarely reflect this insight back onto ourselves. What’s more, we become even more reluctant to do so when considering the actions of experts, like scientists. The result? We divide humanity in two: those who fall victim to their culture and traditions and those who overcome them with rationality and science. Treating science as an antidote for tradition — most often religious tradition — is an age-old trope. Science is innovative, disruptive, data-driven, forward-thinking. Tradition is like an anchor, tethering us to the past. Science is more evolved than traditional thinking — or so the battle between the Darwin Fish and the Jesus Fish played out on the backs of the cars of my suburban American childhood would have you believe. This dichotomy lacks depth and our division of humanity ignores the possibility of a common thread to unite groups otherwise lacking in common ground. “It’s like you can’t disagree with a scientist,” Gwen remarked, “or you’re ‘denying science.’” This occurs not because our science is infallible, complete, and beyond questioning — it never is, nor should be — but because capital “S” Science is more than just the science: the experiments, the results, the data, the facts. It is also a human endeavor. It is as much a culture with its own traditions as any other. The difference is that the culture of Science is often shielded by a veneer of objectivity, allowing the defense of personal insult to seamlessly intermingle with the defense of scientific fact. The March for Science not only campaigned for the acceptance of scientific data and its use in policy-making, but also championed a worldview focused on science as the primary route to truth and science as “the pillar of human freedom and prosperity.” It is this worldview around which personal identities have formed — identities so strong that science has become something that one would “work for, live for, fight for, and yes, even die for.” This particular stance is extreme, but it is echoed throughout the words and actions of the many scientists and science advocates who have put forward an image of science that largely ignores its shortcomings. Identifying ourselves with a particular culture — no matter the culture — gives that culture the power to motivate our actions, including our response to threats to our worldview. This holds true even when the facts are on our side. “Culture itself is sacred,” observed anthropologist and philosopher Ernest Becker in Escape from Evil, including those cultures that are secular, even scientific. What Becker sought in his work was a unifying science of man — the elusive common thread — to explain human behavior in the context of one’s culture. Drawing inspiration from psychoanalyst Otto Rank, who emphasized fear of death as a fundamental human motivation, Becker understood culture as a defense mechanism against this universal existential fear. Culture is an integral component to each of our beings. While Becker’s work is philosophical in nature, his theories have been largely supported by empirical evidence from the field of social psychology known as Terror Management Theory (TMT). TMT experiments have revealed that prompting thoughts of mortality triggers a defense of cultural worldviews, and that this effect can be reduced by temporarily elevating one’s self-esteem. In other words, we rely on our cultures and the role we play in them to generate self-esteem, meaning, and a sense of purpose in life — all of which is subconsciously driven by a universal fear of death. Admittedly, it is a challenge to read Becker and not feel defeated with regard to the present and future state of humanity. This is because what concerned Becker most, and what has since dominated the field of TMT, were the negative consequences of our attempts to symbolically transcend mortality. As shown by numerous TMT studies, subliminal reminders of death result in an increase in support for people who share our worldviews and disdain for those who oppose them. This, in effect, can strengthen our faith in our own ideology, broaden the divides between groups of people, and fuel conflict. Becker saw our cultural mechanisms of death denial as the root of human evil. It is hard to ignore the plausible contribution of terror management to the many failures of science over the years, even beyond the current tension between the scientific community and the public at large. Identifying oneself with a worldview dominated by scientific progress, bolstered by a deep-seated belief in science as a primary and objective route to truth, holds the potential to lead scientists unwittingly astray. Perhaps this provides ample means to explain how past unethical human experimentation was defended in the name of scientific progress. Or, how currently the scientific literature is riddled with “sloppy science” as scientists fight to gain self-esteem (and thus qualify for symbolic immortality) in an environment where progress equals publications. It may perhaps also provide an explanation for how there remains an adamant defense of the necessity of animal experimentation — a deeply ingrained way of doing science for many — despite mounting evidence for the inefficacy of animal models to predict human disease and therapeutic response. Reliance on science as one’s “immortality formula,” just as with any other cultural group or doctrine, can either blind us from or lead us to dogmatically reject facts and/or values offered by opposing groups. In other words, scientists are humans too. What we can also gain from Becker and TMT is something even more relevant to this conversation: An understanding of the fundamental importance of culture and traditions to all humans, including ourselves, grants us a foothold in the realm of empathy. The recognition that we are all operating from the same core motivation — simply under different cultural umbrellas — can make it easier to understand the perspectives, actions, and motives of a group different from our own. In turn, this may provide a route toward communication that bridges, rather than broadens and divides. 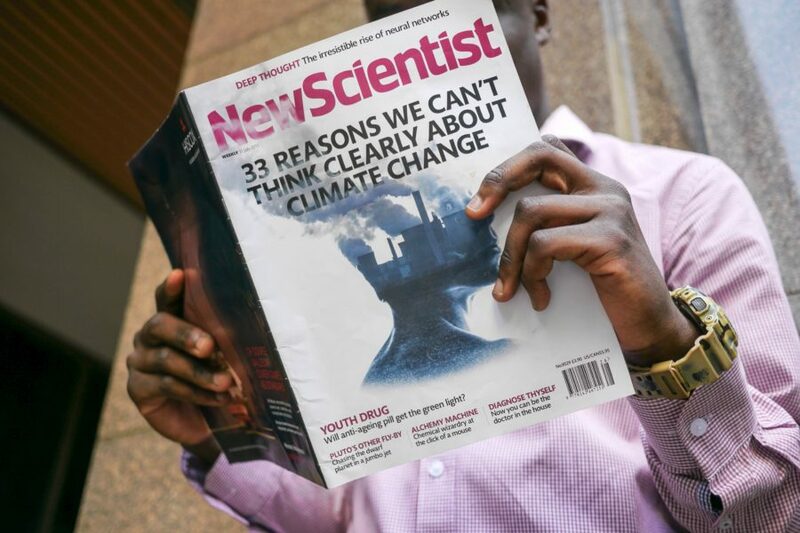 Just to be absolutely clear, what I am communicating here is by no means an argument against the scientific consensus of climate change; nor is it an argument against communicating facts — or even values, for that matter. Rather, it is a call for the use of self-reflection and empathy to guide communication. Our recent emphasis on the importance of facts in political and public discourse is noble, but perhaps to achieve progress free from the damages of division and hatred, the facts of our day-to-day discourse must be coupled with an even more fundamental truth: the science of our common humanity. 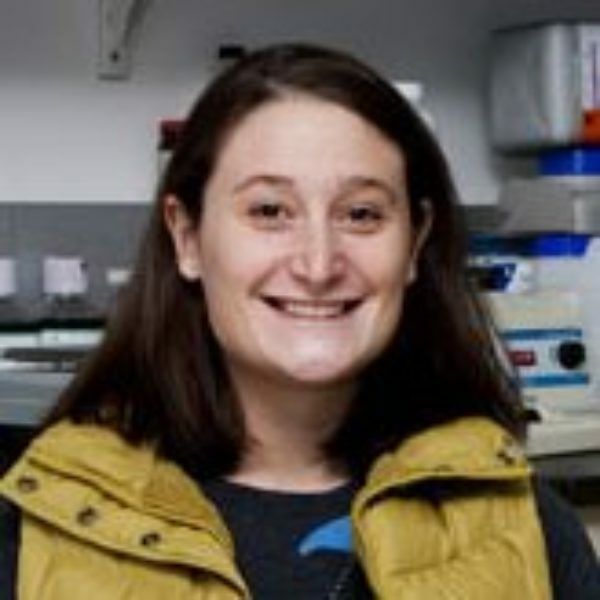 Rebecca Delker is a molecular and cell biologist who explores how the genome is regulated to give rise to the enormous diversity of cells and organisms that exist in our world. She received her B.S. in biochemistry at University of California, San Diego, and her Ph.D. at Rockefeller University in New York. She is currently a postdoctoral scientist at Columbia University and a contributing writer at Scizzle Blog. More recently her explorations have expanded beyond the cell to include questions of why and how we do science, using the answers to these questions to guide the future of science.